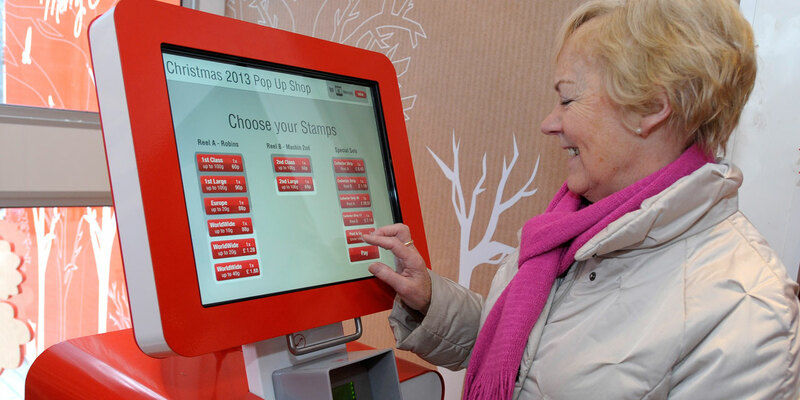 Surprise customers with an activity that would NOT normally be associated with The Post Office, reduce pressure (queues) in branch during this busy time of year, drive purchase and engage the public in face-to-face communication, informing customers about Christmas posting deadlines, extended branch opening times and other key information. ‘Smilers’ personalised stamps were used as the event mechanic to encourage customers to interact with the pop-up and create resonance with them. 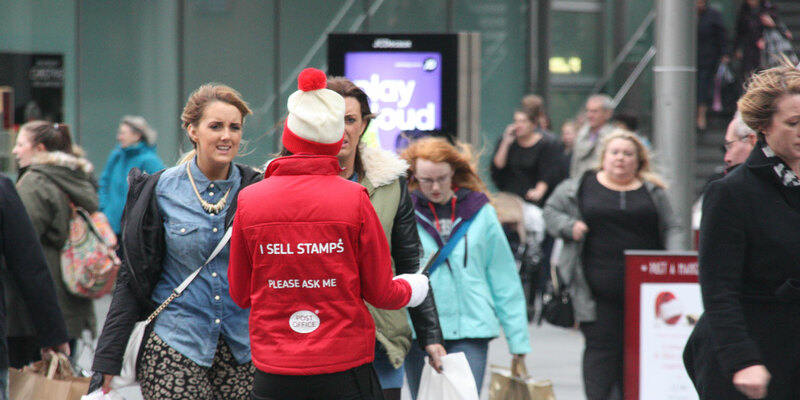 Create a “Christmas Stamp Shop” that will visit 8 high footfall city centre locations across the UK over a 6 week period. The pop-up comprised a branded exhibition trailer which housed the ‘Smilers’ activity, branding and props. Surrounding the trailer was a ‘Wishing Forest’ where customers could write down and display their Christmas wishes. 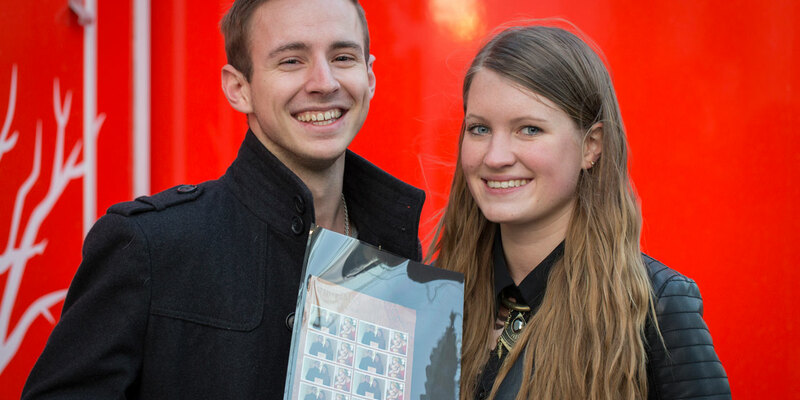 Customers were invited to have their picture taken (or an existing image downloaded from a smart phone or tablet) which was then printed out as a set of personalised postage stamps. Brand ambassadors acted as sales agents selling books of 1st Class, 2nd Class and individual Christmas stamps. Leaflets communicating key information regarding The Post Office’s Christmas services were distributed to passers-by. The activity met all of its objectives. Many happy customers walked away with their own personalised postage stamps – having engaged in a truly unique experience for them. Thousands of pounds-worth of stamps were sold at each location, reducing the queues in-store at the busiest times of the day. Over 100,000 leaflets were given to passers-by. We are very happy to look at a brief or sense check your ideas at no cost - this is a business model that has proven success for us.